If you purchase this product you will earn 200 Points! Worth £2.00! 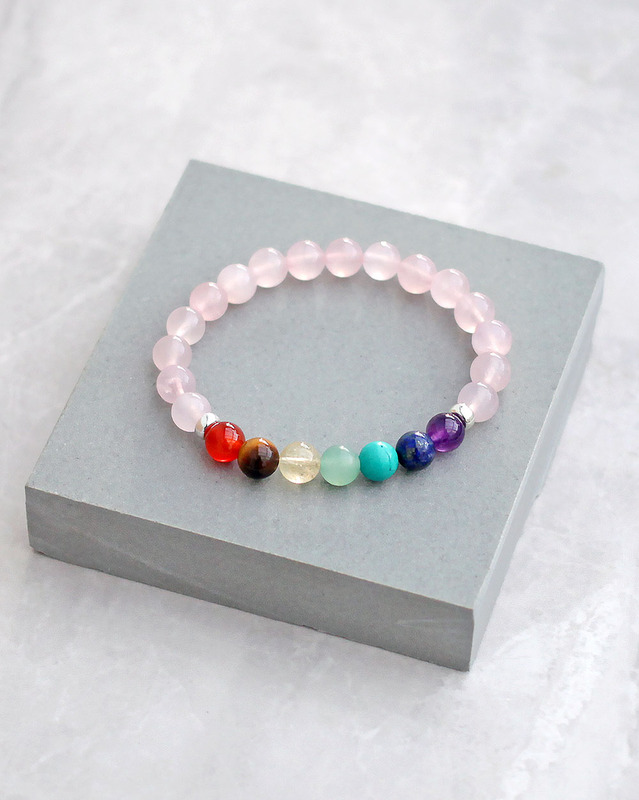 The Spirit Connexions Rose Quartz Chakra bracelet is made with 8mm natural and genuine semi-precious gemstones. 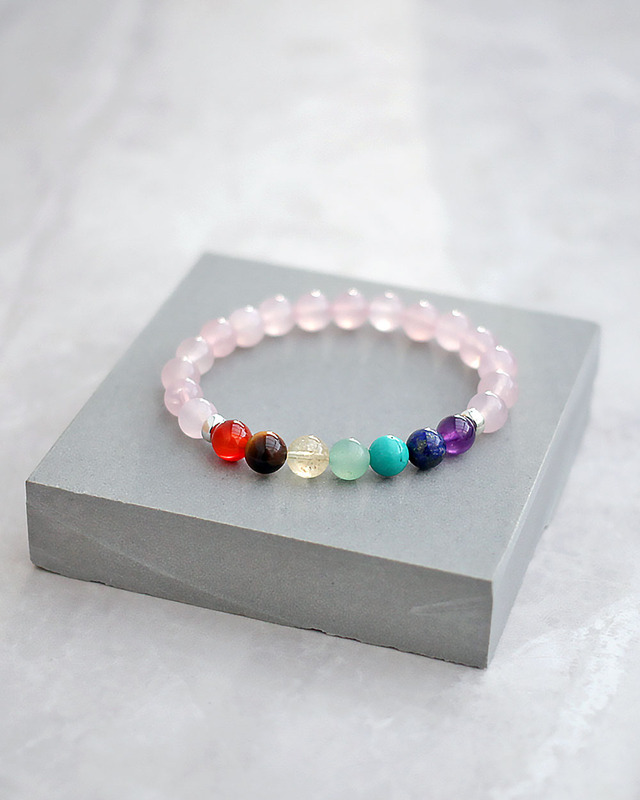 Grade-A quality stones have been selected for this Chakra bracelet. 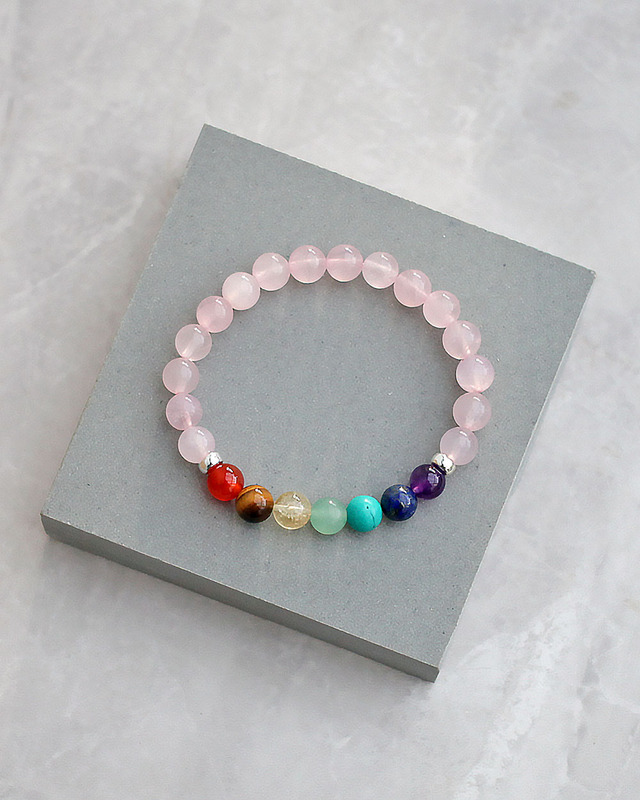 What this means is pure, semi-precious gemstones with beautiful colours, with a solid feel and good weight. There are two 925 sterling silver spacers on either side of the Chakra stones. As with all of our bracelets, they are handmade to order. 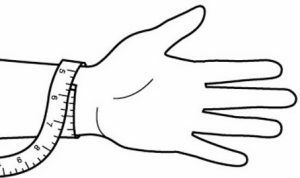 Select the correct size for your wrist from the sizing options above. 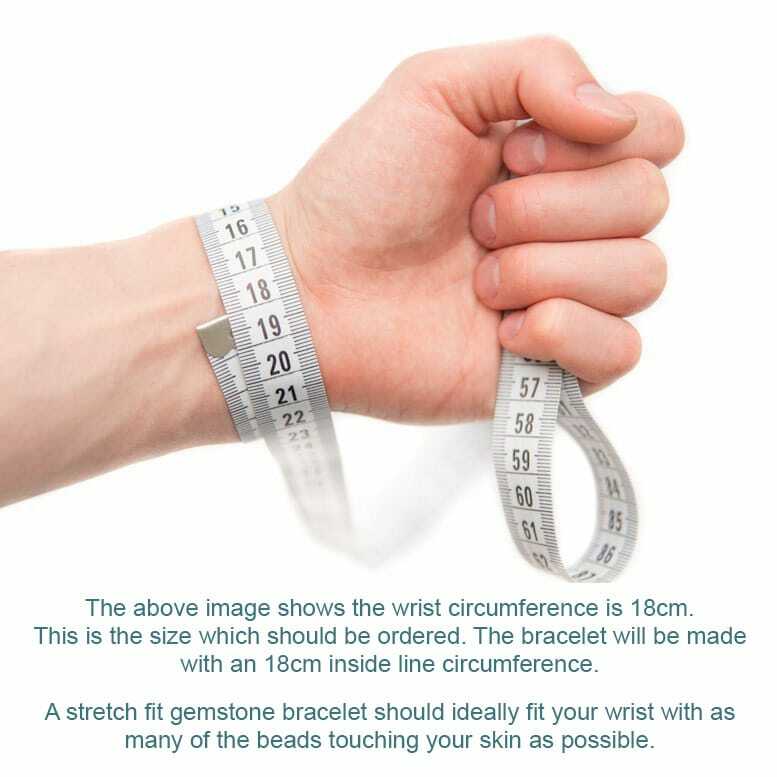 Brilliant bracelet and such high quality stones! 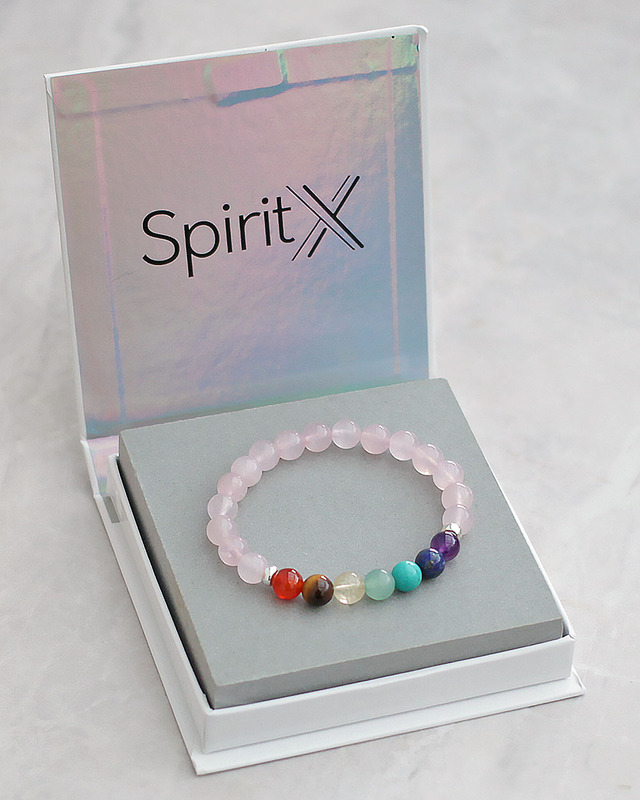 Beautiful bracelet, I love it. I ordered more. Thank you. as for myself. They arrived quickly, beautifully packaged. Brilliant seller. I would buy these over others again.